Rejuvenation and revitalization is what Mokara Spa is all about, with luxurious body and skin treatments that focus on stimulating and relaxing the mind, body and spirit. We especially like lavender moisture wrap, Mokara facial, and the cowboy and cowgirl couple's massage. 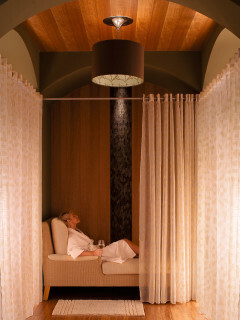 And since the spa is located in the Omni Hotel, we love that after having our bodies slathered in oils and lotions, we can sip a little vino on the fourth floor Uptown Terrace with breathtaking city views.